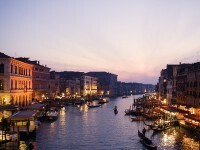 The usual rate of a flight from San Francisco to Venice is $1,466. For a SFO-VCE airfare passangers may gain about 11 thousand frequent flyer miles. A flight from San Francisco to Venice costs about $1,589 in low season whereas it gets as high as $1,632 at the time of peak season. Interesting fact that the lowest price ever found for this route is $820, this was a US Airways flight discovered by travelers on Faregeek. But the cheapest airfare discovered in the past year is great too, just $937 r/t for a Swiss International Air Lines flight found for April 2012 on Expedia. Popular travel season is around June to September in Venice therefore flights will most likely become really costly in that period with ticket prices reaching as high as $1,632. In case you are browsing for lower rates, we recommend you fly in April, May and October, over low travel season, because at that time airlines tickets are usually much better. We say that generally the perfect time to travel to the city from San Francisco is between seasons, during November to March. The longest flight departing from Venice is going to New York and it is 4,144 miles (6,669 km) long. 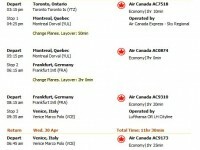 Venice has got 2 airports, these are Venice Marco Polo Airport and Venice Treviso Airport. The longest potential flight distance between San Francisco and Venice is precisely 7,662 miles. The medium flight length between San Francisco and Venice is 5,894 miles (9,485 kilometers) so you can count on a normal 18 hours and 52 minutes long trip. The longest flight going to Venice Marco Polo is 4,144 miles long and starts from John F. Kennedy International, New York.